Google has posted its annual Zeitgeist recapping the most searched subjects of 2007. Google’s “Top of Mind” chart reveals the eternal nature of questions and the essence of all search engine queries – mankind’s ongoing search for answers and meaning. 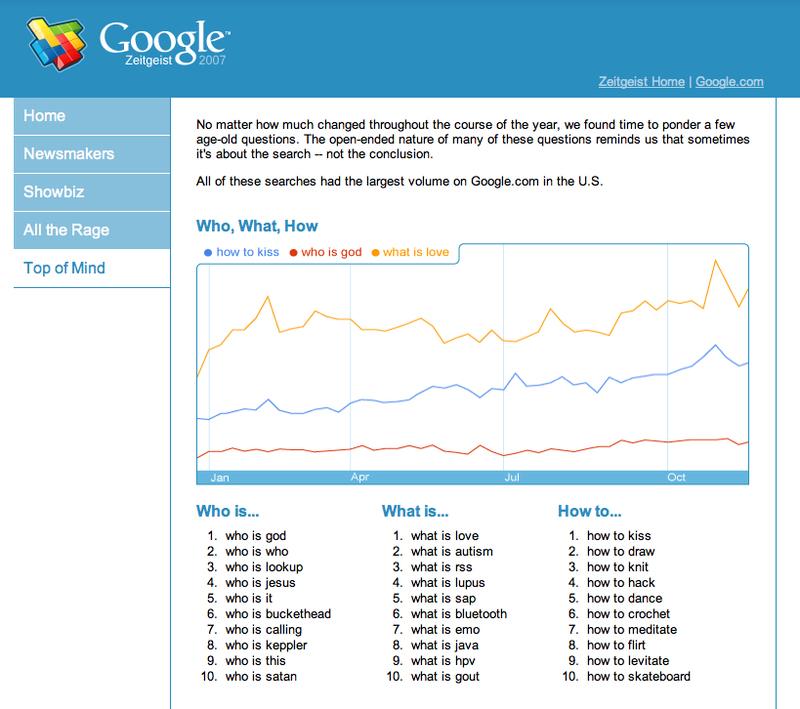 The top searches from the “What”, “How” and “Who” categories coincidentally are questions about some form of “Love”. This entry was posted on January 18, 2008 at 6:26 pm and is filed under Google, Love, Princeton University, Wordnet, Zeitgeist. You can follow any responses to this entry through the RSS 2.0 feed. You can leave a response, or trackback from your own site.